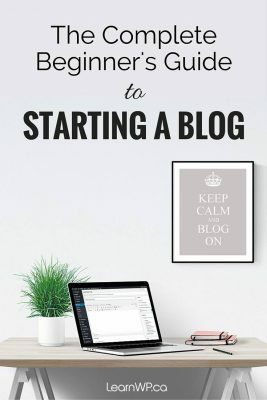 You can run a very successful blog on WordPress.com. Toronto-blogger Neil Pasricha’s 1000 Awesome Things is one great example of a successful WordPress.com blog that led to multiple book deals! If you are using a WordPress.com site for anything more than just a personal blog, we recommend that you move to a .org (self-hosted) installation. Bloggers who start out on WordPress.com may later decide that a self-hosted WordPress.org site is a better choice for them. If you’re in that position, this blog post will help you, step-by-step, to painlessly make the move. What’s the difference between WordPress .com and .org? hosted for you – No servers or code required! 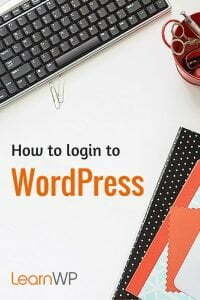 The links below will outline the steps you need to take before you move your existing content from WordPress.com to WordPress.org. Congratulations! You now have a fresh self-hosted WordPress installation! And you’re ready to import all your content. Go to Tools -> Export in your WordPress.com dashboard to download an eXtended RSS (WXR) file of your blog’s content. Under What to Export select All Content. 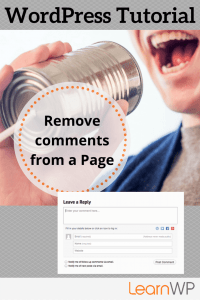 This will ONLY export your posts, pages, comments, categories, and tags. NOTE: You may need to manually transfer uploads and images to your new blog. The current version of the WordPress.org installation gives you the option to import uploaded files, but the blog you are importing from must be live and serving images properly in order for it to work. 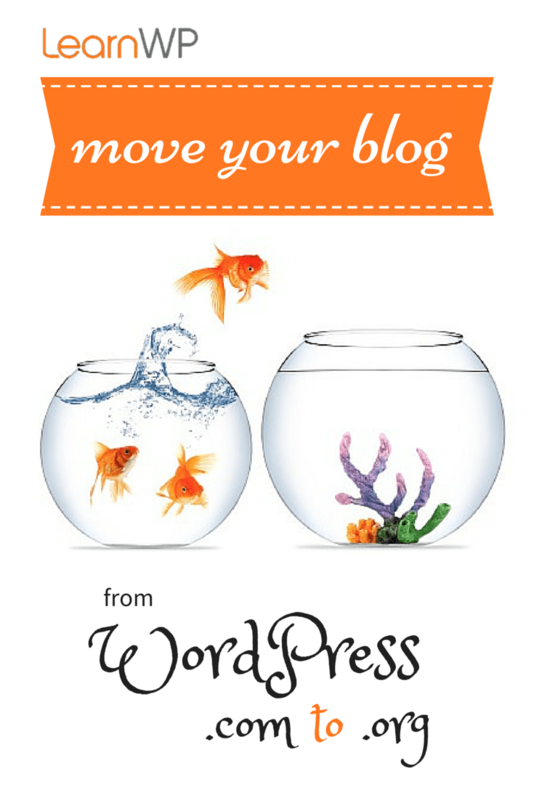 So, don’t delete your blog until you’ve successfully imported your media files into your new blog. To export your blogroll: Visit http://yourblogtitle.wordpress.com/wp-links-opml.php and then use the Save File option in your web browser. You do this in your browser by clicking File -> Save As … but the exact wording may vary depending on your browser). Login to your WordPress dashboard … yourdomain.ca/wp-admin. Select WordPress to install the WordPress importer to import posts, pages, comments, custom fields, categories, and tags from a WordPress export file. You can read more about importing content on the WordPress codex. For $12US/year you can redirect your wordpress.com blog to your new domain name with the Site Redirect upgrade.